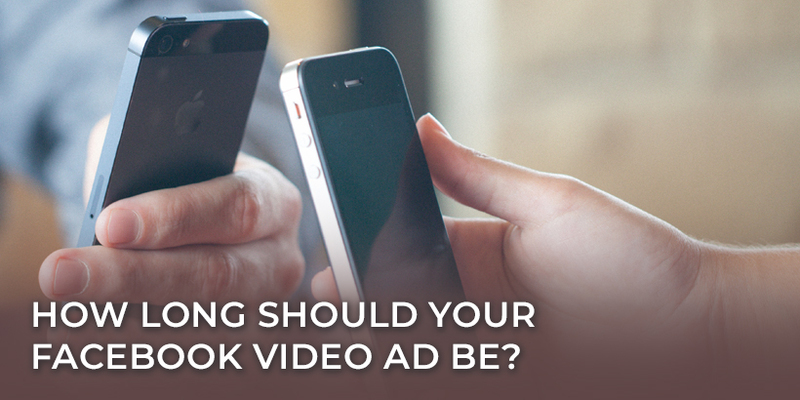 How Long Should Your Facebook Video Ad Be? Facebook’s video ad specifications aren’t all that helpful when you’re trying to decide how long to make your ad. The minimum is one second. The maximum is 240 minutes. Your ad could be longer than The Lord of the Rings: The Two Towers Extended Edition (235 minutes) and still fit their requirements. That’s longer than two average “feature-length” films combined. It’s probably safe to say you’re going to be a lot closer to that one-second minimum than the 240-minute maximum. But that still doesn’t narrow things down much. So let’s focus our scope. In 2016, Kinetic Social used data from two billion ad impressions to conclude: video ads between 30 seconds and 60 seconds had the highest completion rate (more people watched them all the way through). Surprisingly, ads shorter than 30 seconds had a worse completion rate than ads that were two minutes or longer. It’s been two years since that study. And Facebook has made some big changes to the way video ads work. 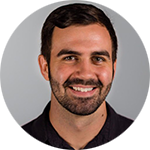 Namely, they created an option for in-stream video ads, which plays your ads within videos from major content publishers—like the ads you see on YouTube. So now if we’re going to answer this question, we have to make a choice: what kind of Facebook video ad are you trying to make? Facebook’s in-stream video ads play for a maximum of 15 seconds, which sets a pretty hard limit on the length of your ad. Remember, these ads are “interrupting” content people choose to watch, so Facebook recommends they be even shorter. So if people are less likely to watch shorter ads all the way through, what’s the advantage here? Viewers can’t skip these ads. It’s a forced commercial break that only occurs after viewers are already invested in a video (60 seconds in). You can also display in-stream ads through Facebook’s Audience Network, which connects you to publishers outside of Facebook. Ads through the Audience Network can be 10–30 seconds long, giving you a slightly wider range. So, how long should your in-stream video ads be? Short. You probably want to be as close to that 10 second mark as possible. Your ad is literally an interruption to the content your audience wanted to see, so they may not have the patience for ads that dance around that upper limit. Even Facebook says “shorter is better” here. If you’re not doing in-stream video ads, you’ve obviously got a lot more range to work with. Facebook isn’t cutting you off at 15 seconds, or even at 30. Unfortunately, there’s not much consensus here, either. As we discussed earlier, Facebook videos tend to have the highest completion rate between 30 seconds and one minute. Hubspot found that one minute was ideal for them. 60 seconds or less is probably a safe range to give yourself, but if you need more time to tell your story or fully capture your value proposition, don’t worry about going over the one minute mark. The reality is that length probably won’t be the biggest factor in the success or failure of your ad. Regardless of how long your ad is, there are things you can do to help it perform better. Even if you use in-stream ads—where you essentially have a captive audience—these things help someone decide if your ad is worth paying attention to. Communicate your main idea early. If people feel like they have to keep watching just to figure out where your ad is going or what it’s “about,” they’re not going to. Your header and text can do a lot of supporting work here, but the video itself should quickly “tease” or point to the main idea of your ad. Use captions. When your ads autoplay in someone’s newsfeed, there’s often no sound until they turn it on. So if your ad depends a lot on audio to communicate your message, you need those captions to convince your audience to turn the sound on (or at least continue watching). Create an ad that’s worth watching. A good story is a good story, regardless of length. Plenty of successful movies go well beyond two hours. Numerous books that have stood the test of time easily surpass 500 pages. The production value, creativity, and relevance of your ad will have a far greater impact on your success than length. If this isn’t your first foray into creating Facebook videos, you probably already have a decent idea of what has and hasn’t worked well with your audience. But for everyone else, here’s a good guideline: aim for one minute for Facebook video ads, and 10 seconds for in-stream video ads. That’ll help you stay on pace with the videos that tend to perform best, but it also doesn’t have to be a hard and fast rule. If you have to choose between a minute-long ad that feels rushed and a two-minute-long ad that doesn’t, I’d vote for the two-minute ad.